When we take animals out of their natural habitat with the intent to make them pets, it is our responsibility to accommodate them as much as we can and make our home a home to them, as much as possible. Obviously, we can’t climb or jump like our furry friends, so it’s a good thing that their size is proportionately smaller to our own, thereby making it possible for them to live within the confines of our homes and still adequately stretch their limbs. There are likely plenty of horizontal spaces for kitty to perch itself. But they also need to be able to climb upwards as its part of their instinctual habits. Particularly in homes that host more than one cat, providing vertical territory for them is imperative. 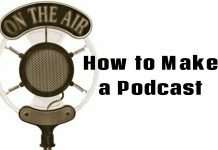 How do you do that in a home or apartment with limited space? 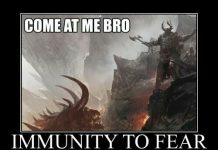 There may be only one option. Luckily, it’s actually quite practical – you need a cat tree. 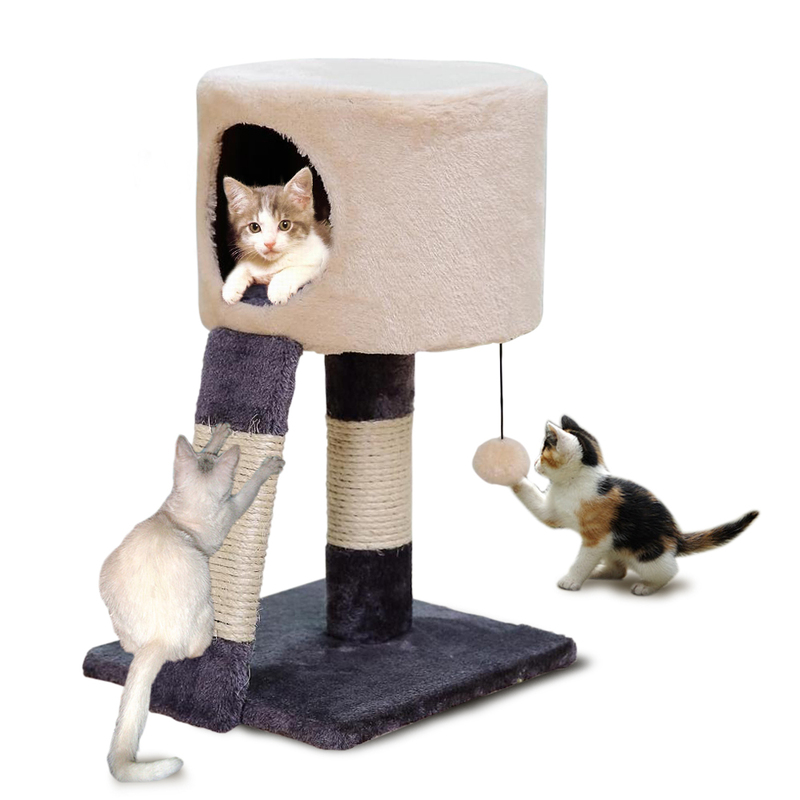 In a multi-cat situation, you’re sure to increase the peace by bringing a cat tree into the living dynamic. Why? Because the cat that dominates will prove his status by claiming the highest perch. 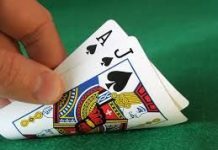 There will be fewer tense moments as a result, as the identity of the top cat (pun intended) is no longer in question. But that doesn’t mean only the strong survive. Timid cats thrive on a cat tree too. They’ll feel less anxious being out, perched on a faux branch where they have full visibility around them, a fact that will help them have a greater feeling of security. You can even use a tree to help that one poor fellow that runs and hides under your bed. Put an A–frame cat-bed somewhere on the tree where it can sit firmly so kitty can be elevated but more importantly – hidden. This may make it comfortable enough to remain in the room even when there are guests present, instead of instantly darting for the safe space under the bed it may give having company around a chance. 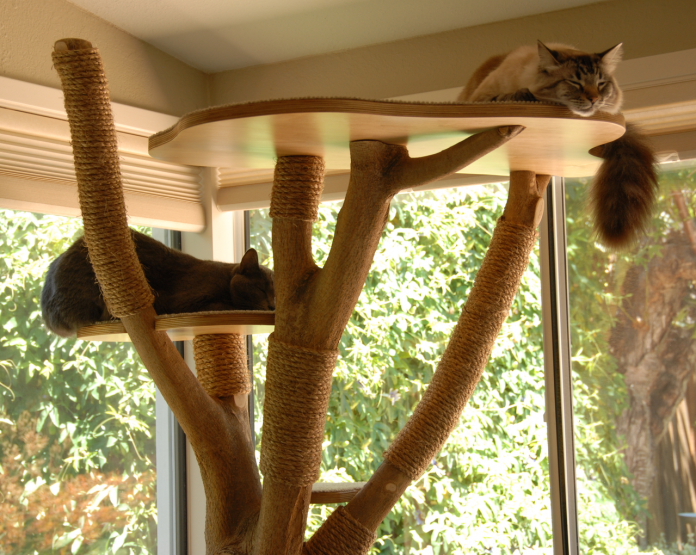 You’re also creating more space for your beloved pets by implementing a cat tree. Its variety of heights allows more than one feline to share the space, particularly after the chain of command has been established. The cat tree provides enough separation that even mortal enemies may find temporary peace sharing one. Don’t be intimidated when perusing photos of available cat trees. The one you choose does not have to be super elaborate. Get a good quality tree and it will last for years. They are multi-functional, too. 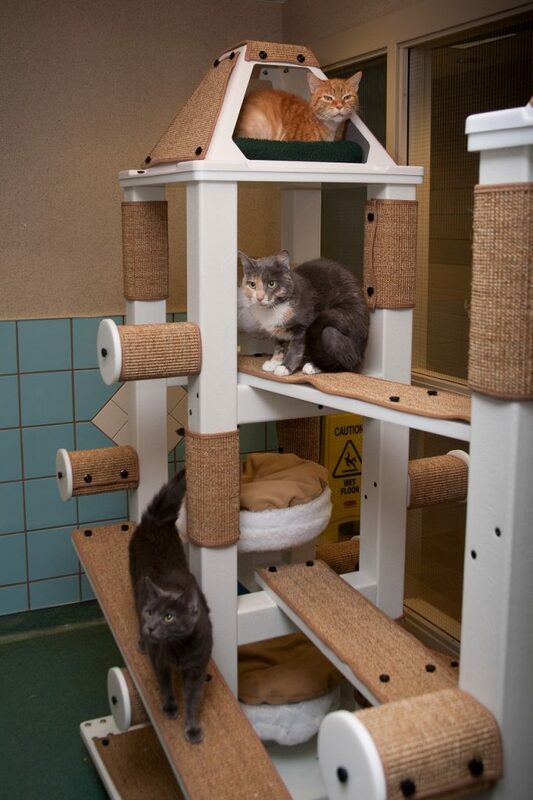 Besides being part of a great environment for cats, the support posts double as scratching surfaces for them as well. You can even order them by scratching preference. For instance, they are available in a variety of clawing favorites like bare wood, sisal or even bark -covered. Let your cat(s) personality and physical stature help you select the right tree. A hefty fellow won’t be compatible with a petite tree with tiny perches. In other words, a large cat needs a large cat tree. Your pet doesn’t want to worry about a perch bending downward. Cats like to rest their backs against a surface so they don’t have to worry about a rear ambush, so accommodate their instincts. 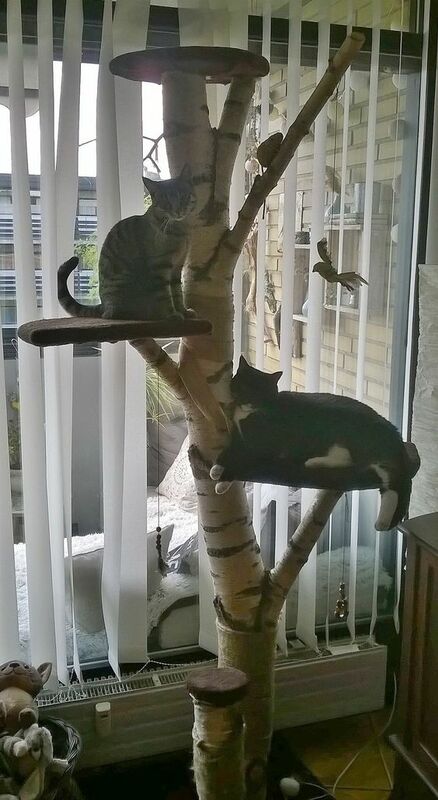 There is no shortage of cat tree types available for sale. Simple or elaborate, your most important concern should be the construction; you want it to be as sturdy as can be. A tree that wobbles will not do. A tall tree needs a wide base. Ultimately your cat needs to be able to jump to and from it without toppling it. So now you’ve got the tree, where do you put it? If you can put it near a large window, you’ve found the perfect location. As you know cats love to watch what’s going on in the great outdoors. Ultimately your cat is the judge of whether or not the tree is located in a good spot. It’s a place to retreat when there’s just too much going on in your home for it, especially if it has to deal with dogs or children. Withdrawing into the tree signifies its “alone” time. In the meantime, while you’re still without a tree, what can be done to make kitty happy? Well, anything high that they can access via their feline prowess will be fine for them. The top of the fridge or a tall bed backboard will suffice, but a spot on the window ledge is most desirable. 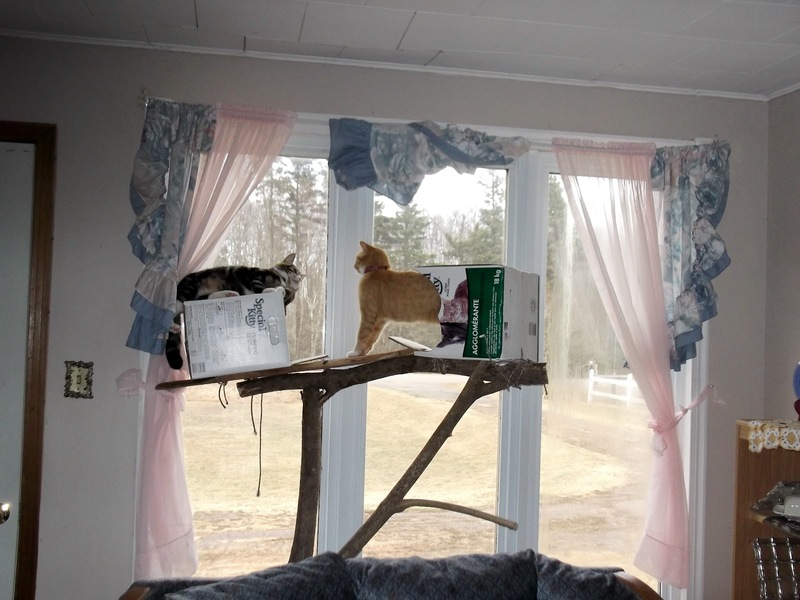 You may improvise something for them by way of strong boxes or even a stepladder with cat bedding set at the top. Either way, your pets will make do with what you have – sometimes in the most unexpected places – that will keep them occupied until you get them a proper cat tree that they can truly dominate.